The sizing was very wrong. I ordered a 34 waist, and I am normally between a 33 and 34. These pants fit like 31's. No chance to fit. Also, the material felt very synthetic, like slick nylon. The return process was easy with no questions asked. Response from Charles Tyrwhitt: I'm sorry that these chinos didn't fit as expected. We do try and provide the best possible product for our customers so this is very unfortunate. I can see your return was processed on 29/03/19 and this will take 3-5 business days to appear in your account. Response from Charles Tyrwhitt: It's ever so disappointing to see that on your first order with us, you weren't able to get on with the trousers you purchased. It can be tricky when ordering from a company for the first time (especially with clothes) so this is why we have a no quibble returns process in place. All items can be returned within the first 6-months - no questions asked - for an exchange or refund. 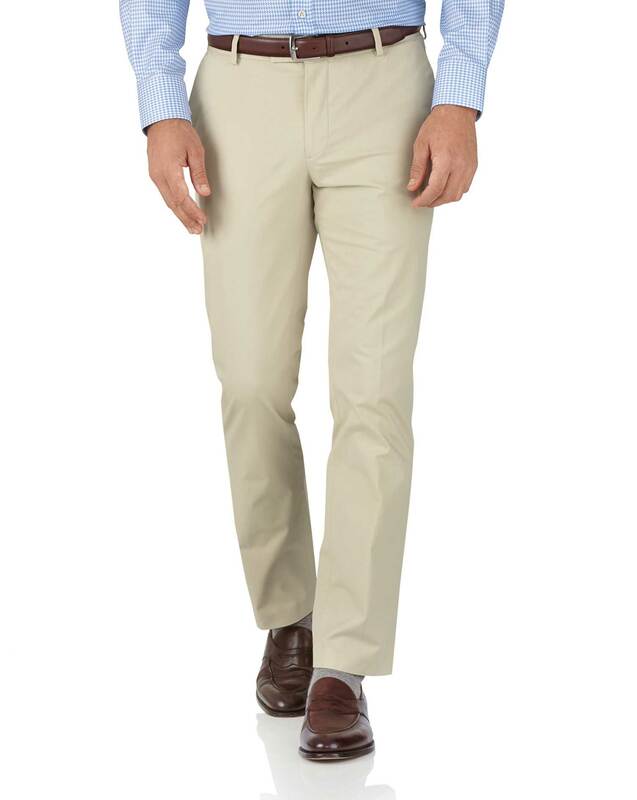 While our chinos may not be right for you, I hope you will give our shirts a try as I'm confident you will be delighted with both the fit and quality! Quality of material, fit options and seamless ordering/delivery process. Same issue: nice material, dresses up or down, all season wear.